An active comments section can add real value to your blog posts, and WordPress makes it easy to accept these comments, coming with a built-in system preconfigured. But is the native system up to the job? In this article, we’ll be comparing it with five other WordPress commenting systems to see which is the best. It can be disheartening when quality content fails to get the recognition you feel it deserves. As a result (rightly or wrongly), many bloggers seek ‘content validation’ by chasing publicly visible engagement metrics, such as blog comments. Blog comments are far from just a vanity metric, though. A commenting system has been an integral part of the WordPress core since its earliest days — and with good reason: comments are the ideal way for site owners to engage with their readership. Comments can also enhance the content, as commenters often dig deeper into a particular topic or provide an alternative viewpoint. In fact (depending on the type of content), you’ll find that many people enjoy reading the comments section just as much as the content itself. This is most notable with news articles, where other readers’ opinions can offer different perspectives on a situation. If you want your blog to receive lots of comments, though, you need the right infrastructure in place on your website. 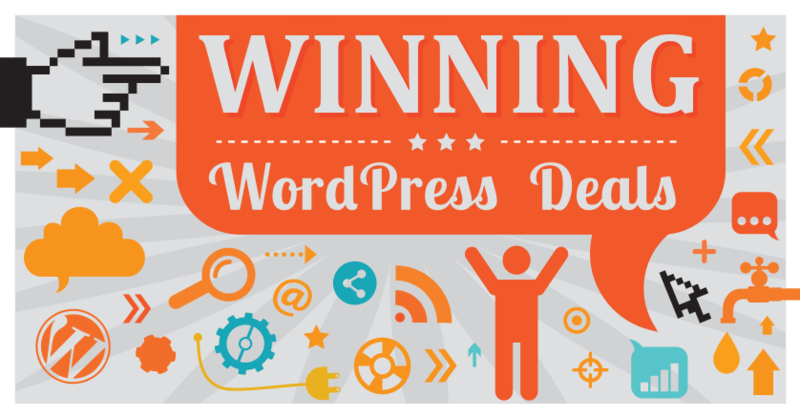 In this article, we’ll compare the seven best WordPress commenting systems — including the default WordPress one — to see which is the best choice for your site. WordPress users don’t need a plugin to accept comments on their blogs, because the WordPress core ships with a built-in commenting system. The native WordPress commenting system is relatively basic, admittedly, but it still does the job. 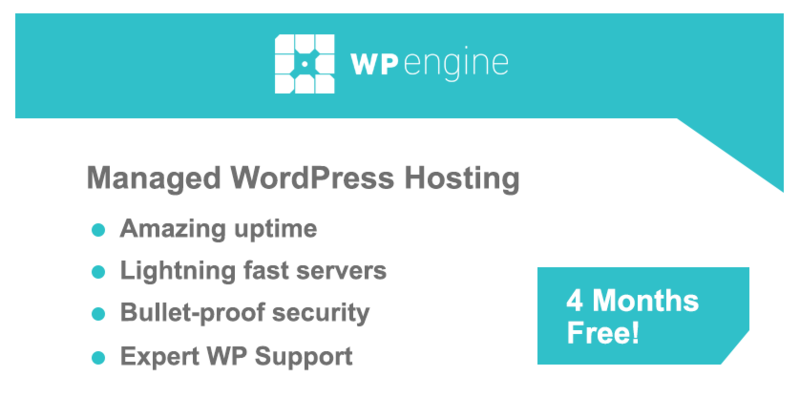 You’ll find it in use on many blogs — probably because it comes preconfigured and pre-activated on any fresh WordPress installation — and, like the core, it’s free to use. In other words, you don’t have to do anything to use it — and that suits many time-short webmasters to a T.
The biggest advantage of the native WordPress commenting system is its front-end usability. To leave a comment, visitors need only leave their name and email address, and, optionally, their website URL. With few hoops to jump through, visitors will be more inclined to leave a comment. However, there are numerous drawbacks to using the native WordPress commenting system — which, for the record, has barely been developed in over a decade. Users who comment won’t receive response notifications, there’s no support for nested conversation threads, and it lacks social media integration. Plus, as many WordPress users will tell you, it leaks spam like a sieve. If you like the WordPress commenting system’s simplicity but find its weak points frustrating, I have good news for you: There are plenty of plugins out there that upgrade and extend the native system’s functionality — one of which we’ll be covering in detail further down the page. Disqus is one of the most popular commenting systems in the world — it’s also the one we use on this very site. It works externally to WordPress (using the Disqus API), so it can also be used on other sites and systems, such as Blogger, Tumblr, Squarespace and so on. It’s one of the most feature-rich commenting systems available, offering a step up from the native WordPress commenting system in many important areas. For a start, it’s one of the more aesthetically pleasing commenting systems. It supports nested comments, social login, and reply notifications — in fact, visitors can actually reply to responses via email, so they’re more likely to engage with other users. Visitors can also leave rich media in their comments, such as images and videos. Visitors can comment via their Disqus account, too, which is a cool prospect as Disqus users can ‘follow’ other users and view their comment history — including comments on other blogs. This makes it a great way for like-minded users to stumble across other valuable resources — and some people may find your blog this way. From the webmaster’s perspective, you can moderate comments either from the front end, back end, or directly from your email inbox — a level of flexibility that gives it an immediate advantage over its competitors. The Disqus commenting system isn’t perfect, though. In fact, Disqus is guilty of a major commenting faux pas — by default, it requires that visitors sign in before commenting. Sure, there are plenty of options for quick logins (social logins with Twitter, Facebook, and Google+, or a Disqus account), but this extra hurdle can irritate visitors, many of whom will simply skip commenting altogether. Social logins also threaten visitors’ privacy, giving them another reason to be unhappy. However, the upside to this is that this policy keeps spam to a minimum and encourages better quality discussions. 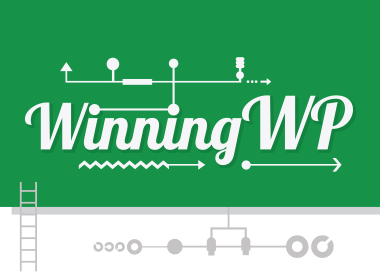 Jetpack offers arguably the widest-ranging functionality of all WordPress plugins. Included in this complex suite of features and functionalities is Jetpack’s very own commenting module — Jetpack Comments. Unlike the other plugins on today’s list, Jetpack Comments isn’t a commenting system in its own right — it’s an upgrade of the native commenting system. However, as a result, Jetpack addresses several of the native system’s most obvious shortcomings, while retaining all of its strong points. This has resulted in a large user base for Jetpack Comments, making it a worthy part of conversations surrounding the best WordPress commenting systems. For example, visitors are still only required to leave their name and email address (and optional website) to comment, streamlining the commenting process. However, Jetpack also offers a social login feature — with WordPress.com, Twitter, Facebook, and Google+ accounts supported — for one-click access. Visitors can also choose whether or not they want to receive email notifications of any follow-up comments, giving the conversation the opportunity to evolve into something more meaningful. Jetpack Comments is easy to install, too. Just like any other WordPress plugin, just sync it up to a WordPress.com account, and then activate the Jetpack Comments module. Job done! The main criticism leveled at Jetpack is, with so many features, it’s a hefty lump of a plugin. Much of the code is simply baggage, meaning your website is carrying unnecessary weight. Postmatic is perhaps the most intriguing comments solution featured today. Now, most commenting plugins require someone to visit your website, read your content, and then leave a comment. Postmatic, however, streamlines this process by using the world’s most popular form of communication: Email. To maximize the effectiveness of this process, Postmatic doubles up as an opt-in plugin, with pop-ups, slide-ins, and top bars all supported. Visitors leaving comments the old-fashioned way — at the bottom of blog posts — are signed up to your email list, too. When a visitor subscribes to your email list, they will receive all new posts via email as soon as you hit the publish button. The post is emailed in full, with Postmatic converting your content into an HTML email format so that visitors can peruse your content directly from their inbox. However — and here is where it gets really good — users don’t need to visit your website to leave a comment. They can simply click to reply to the email, type out a message, then hit send. The emailed comment is posted directly to your website in real-time — and every commenter’s email address is, of course, hidden to protect their privacy. Subscribers will also receive other users’ comments in their inbox and, just as before, they can respond to them directly by replying to the email. Yup, it’s such a convenient way to comment that you can expect a significant increase in audience engagement, and see conversations developing on your blog. Could Postmatic result in a decrease in traffic, though? Potentially, as viewers no longer have to visit a website to read the content. However, when you consider that people can read your content via email from anywhere — even at work, where it’s more acceptable to be seen reading emails than blog posts — what’s the problem? As long as your content is being read and your message is helping your audience, does it really matter how your audience consumes it? Love it or hate it, most of us have a Facebook account. What’s more, whether we’re avid posters or not, we all visit Facebook at least semi-regularly. And guess what? So do our readers. Facebook Comments uses the same commenting system found on your Facebook wall. The first benefit of Facebook Comments is visitors will recognize this format immediately, and instinctively know how to leave comments. Other advantages include one-click social logins (with Facebook, of course) and reply notifications. Also, because of the Facebook association, visitors are more likely to share your content, and, because a Facebook account is a prerequisite for commenting, expect a significant reduction in spam. The biggest downside to Facebook Comments is that it’s somewhat tricky to integrate, involving creating an app over on the Facebook for Developers website, which can be quite a technical process. For the record, the Facebook Comments plugin does not install Facebook Comments by itself — it just makes it easier to integrate your app with your WordPress website once you’ve created it. In my opinion, the Facebook commenting system is a bit of an eyesore, too. Customization options are limited, and this means it’s unlikely Facebook Comments will blend with your blog’s design. At its best, it may look slightly out of place; at its worst, it could look downright ugly. There are also some problems inherent to using Facebook Comments — problems that no plugin can rectify. For example, some internet users prefer to maintain online anonymity. No matter how good your content is or how easy the commenting system is to use, they’re not prepared to break this. Facebook Comments displays each commenter’s name and profile picture, so some people will avoid commenting as a result. On the flip side, because of the name and profile picture, people will try harder to make well-received comments — we all love validation, after all. Therefore, expect the comments section to be filled with higher-quality, thoughtful conversations. wpDiscuz is one of the newest players on the comments scene. More importantly, it has quickly established itself among the best on the WordPress plugin directory, with 20,000+ downloads and an impressive 4.9 out of 5 rating — not bad at all. 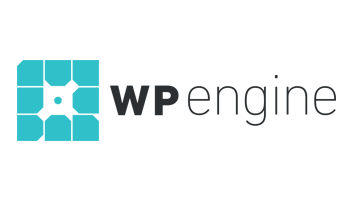 The wpDiscuz plugin is feature rich, with lots of cool functionalities that upgrade the default WordPress commenting system. The developers clearly think it’s a match for the competition, too, readily claiming it to be the best alternative to the other big names — Disqus, Facebook Comments, and Jetpack Comments included. wpDiscuz comes equipped with all of the standard functionality you’d expect from a commenting plugin — an intuitive user interface, nested comments, and multiple comment sorting methods (newest, oldest, and most upvoted). However, it’s also built for speed. The plugin ships with built-in “lazy loading,” which means the comment section is only loaded as and when it’s needed — i.e. when the visitor reaches the bottom of the post. It also supports AJAX submissions and “load more comments” buttons, which means visitors won’t have to reload the page to use the comments section. wpDiscuz offers loads of integrations, too. It’s compatible with a number of the top anti-spam plugins — including Akismet — and will also pull avatars and profile details from top member plugins like BuddyPress. And if that wasn’t enough, visitors can also log in via their favorite social network accounts — or you can offer anonymous comments, should you wish.  The most exciting integration, though, has to be wpDiscuz-Postmatic. This combo allows commenters to respond to comments directly from their inbox, just by firing off an email. This super-convenience can encourage deeper and more meaningful conversations to develop, ensuring a more active comments section. wpDiscuz Emoticons ($20) — enables emoticons in the comments section. wpDiscuz Front-end Moderation ($25) — approve or reject comments from your site’s front-end. wpDiscuz Comment Search ($25) — adds a search function to the comments section. 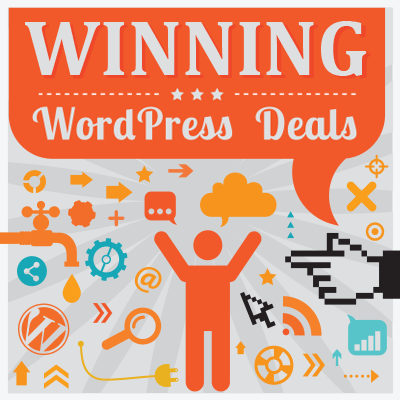 wpDiscuz Ads Manager ($25) — nests HTML, iframe, or Google AdWords advertisements in the comments. wpDiscuz User & Commenting ($25) — lets commenters mention other users or refer to specific comments. wpDiscuz Report and Flagging ($25) — allow your visitors to help moderate your comments section by flagging the most unhelpful ones. CommentLuv takes an incentivized approach to commenting. When a commenter fills in the optional website field of the comment section, CommentLuv automatically adds a titled link to their latest blog post. You can also use CommentLuv to grow your email list by providing further incentives. For example, you may decide to let registered users choose which post they want to link to, or you can offer to dofollow their links. Because many bloggers comment exclusively for the backlink, this means you can expect an active comment section, and, with the tantalizing prospect of a titled link, many commenters will go the extra mile to make sure their comments attract clicks. Of course, CommentLuv’s biggest selling point — the backlinks — is also its biggest downfall. CommentLuv is likely to attract a huge influx of comments of a ‘self-promotional’ nature. Is it spam if someone has read your headline and decided to write a short, barely relevant comment just to get the backlink? Probably, so you’ll have to be extra diligent when moderating your comments. Not every discussion takes place in the comments section — many people like to talk about and share content via social media. The next commenting system, Livefyre, understands this, with its innovative SocialSync feature. This feature syncs your comments section with conversations taking place on social channels, and you can also tag friends and share comments directly to Twitter and Facebook. As another external commenting system, Livefyre is probably Disqus’s most natural competitor, and there are a lot of similarities between the two. Like Disqus, Livefyre requires that commenters are logged in, with several social sign-in options available, plus dedicated Livefyre accounts. As such, it suffers from many of the same criticisms — namely, that not everyone wants to be logged in to comment. It also shares many of Disqus’s strengths, such as its focus on building communities. Visitors can view commenters’ comment history, including on other blogs. However, Livefyre differentiates itself from Disqus in several ways. The commenting system was acquired by Adobe in May 2016 and is equipped with many market-leading features. Most notable is the comments form, which is the best in its class. 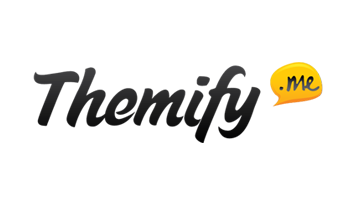 Livefyre Comments boasts a rich text editor, enabling visitors to format their comments — think bolding, italics, links, and checklists — as well as powerful media embedding. Visitors can embed images from Instagram or Flickr, plus videos from Vimeo and YouTube, in just seconds. Visitors can also edit their comments to fix any mistakes, and you can give site admins the authority to edit visitors’ comments, too. From the site owner’s perspective, Livefyre has several other useful features, including built-in spam protection, profanity filters, and community flagging. There are pros and cons to every commenting system featured today. This makes it impossible to declare an outright ‘best’ commenting system. If you’re relatively inexperienced with WordPress and want to run your comments with minimal fuss or configuration, the native commenting system is perfectly adequate. You can also enhance the native system’s functionalities with plugins such as Jetpack, while Yoast Comment Hacks is another great option. If you want more functionalities for your comments section, I recommend choosing one of the external commenting systems — Disqus or wpDiscuz. These systems are more powerful, well designed, and come with lots of useful features that help users get more from the comments section and also develop a sense of community. There’s a time and place for the other two systems, though. If your website thrives on viral and social media traffic, it’s obviously aligned with Facebook Comments. And for new webmasters who want to entice their readership to leave comments, the lure of CommentLuv’s backlink feature may be impossible to resist. My tip: Weigh up the strengths and weaknesses of each system, consider how the features fit your site’s needs, and then make your decision. If you’re currently using a commenting system that you’re unhappy with, this makes your task easier — analyze where your current system is falling short, then pick a system that addresses the most obvious issues. So what’s the best commenting system for WordPress? Thoughts? Thanks for sharing useful article. I am new blogging world. Please tell me, which is the best plugin for newbies like me. You shared here some of the best comment system plugins. I appreciate your effort and would like to support little bit Disqus Comment System plugin though users of these plugins now a days use Jetpack like as usual . This was super helpful! I appreciated that you took the time to lay out the positives and negatives of each plugin. That’s what I really needed, and a lot of the other blog posts I read on this topic didn’t have that (not so helpful). Thanks! Very interesting and thanks for the introduction to livefyre. I’m certainly looking for something social/viral to replace the default comment system. Jetpack is also out for reasons. My shortlist is between lifefyre, disqus and facebook… maybe I will look closer at postmatic too. Oh boy. Good article. Question: why does every comment system I have seen ( except disques) MAKE you scroll to the vet last comment in order to leave a new reply??? This, to me, is horrifyingly disgusting! New Reply should always…. be at the BEGINNING of the comment system layout, NO? Really great collection and also helpful.And thanks for adding Yoast SEO plugin. There are pros and cons in using these plugins. You should find the time to do research and list down the perfect plugins to use for your blog’s comment section. Check the functionalities of each plugin and compare them with each other to know which perfectly suits your needs. Ramp up the level of engagement in your blog posts with a nice comment section for your avid readers. if you can attach screenshots with how it looks..its great article. Thanks for your nice article on comment system plugins.I personally like disqus comment plugin and from your discussion, it’s clear that any one of above plugins can be fulfill your requirement. Disqus now is not going to be free unless you allow the ads which often are poor quality and bad content match, not paying $10 per month just to host disqus ad free. Check out https://netlify-comments.dyuproject.com/ if you’re looking for an ad-free, tracking-free, open-source alternative. Turned comments off on my site, too be honest I wasn’t get that many comments and the ones that were stopping by were just posting spam to sites that were either of poor quality or just trying to sell something! Yes that is a problem. Some firms have dedicated sweat shops to post spam link for seo. Manually removing comments exhaust a lot of time. I prefer taking conversation to twitter, rather than in comments. The plugin linked to in the post certainly seems to have disappeared (the link seems to be broken), but I have just found this: https://en-gb.wordpress.org/plugins/livefyre-apps/ – do you happen to have any other info on the subject? The plugin linked to in the post certainly seems to have disappeared (the link seems to be broken), but I have just found this: https://en-gb.wordpress.org/pl… – do you happen to have any other info on the subject? At the moment the best alternative to Disqus is wpDiscuz. This plugin is free, comes with tons of features, turns your comment box to a modern and AJAX powered real-time comment system. wpDiscuz is a native WordPress comment system, it stores all comments in your database and allows you to manage in dashboard. It speed-up comment box and doesn’t load them from 3rd party servers. Great list! Comment Luv is on longer being supported. At the moment I’m looking for an alternative. My big question is which of these plugins allow me to easily transfer my existing comments? I’ve been using wpDiscuz for a few months now it it lets you actually reply to comments from within the wordpress app itself. Everyone seems to really like the experience. If you want to see what it looks like, you can check out an example on my blog. http://www.theautismdad.com/blog and pick a post. you seriously used an affiliate link in your comments? I’m reading this post three months after your comment was done, but you changed to Jetpack commenting right? It’s Disqus now. Is there a story to share? Disqus has been good at holding SPAM for moderation, you can set filtering rules so they aren’t auto approved. wpDicuz like all the others are far too complicated to implement. Just look at the posts at their forums. Beside that, most programmers think they have to enforce their style. To change this, often very good css knowledge is required. Why are they setting font-sizes, etc. Makes no sense to me. Specially wpDiscuz is completely going over the top. Try to setup their enforced Google Captcha. Or of you like the Google ReCaptcha better, that’s 20 Dollars please. even so the Google plugin is actually free. I will stick with the WordPress version. It’s clean, well structured and easy to use. With the Jetpack advancements its even better then most others. And it’s truly FREE. Complicated? You literally activate the plugin and you’re done. If you want to change CSS then you throw it in a box they provide in Settings, it’s can’t get any easier. This is a excellent article! THANK YOU SO MUCH!!! Great article! Thanks for sharing the information. I personally like disqus comment plugin because of some awesome features. One of the best articles about commenting plugins I’ve ever read, lots of information and unbiased. Thanks, Shaun. I’m sharing your article on Twitter, Facebook and following the site on Twitter. WPDiscuz simply slammed my server down (WP Engine, one of the biggest and best around). I tried to contact the support but they said the problem was my server and even sair they were not going to give me a refund (I didn’t even asked for one). Very bad plugin, very rude support. NOT RECOMMENDED. I kind of like it at first. But I was blind and now I see. Interestingly, I have been using wpDiscuz for a good while now (around a year, I think) and experienced none of the issues you are describing. Also, I had a query with their support team once, and they responded in a very courteous manner (although it took them a week or two to respond). I am not saying you are wrong or right. I am just saying that there are millions of bloggers utilizing different servers & OSs, various sets of plugins, themes and options; what works perfectly fine on one blog may f*ck things up on another. Long story short, I am sticking with wpDiscuz. Im looking for a plugin that allows users to add a URL in a comment, and a preview image and description is displayed, rather than an ugly URL string. Great list and I would like to add one more that I think works great, because it’s not just another comment plugin, but a platform where you make your own community, keep comments and your website spam free and discussion relevant and valuable – graphcomment, saw it on several French websites (’cause it’s French plugin, no doubt) :) Have you heard of it? I used to have Disqus but it was getting to spammy for my taste, now I have WordPress’s native comment box, but I’m switching to gc, so wanted to know what some other people think of it, thanks. Great post. I personally prefer to use disqus because of it’s many useful features. I am commenting here to see how this comment plugin works. I think I like it. Very easy to use. Hi Gavs, I’ve been researching which plugin to use and I’m in the final phase of my decision. At this point, now that I read your feedback, it’s down to wpDiscz and Super Social. I’m leaning toward Super Social but I wish they offered Twitter and Instagram login options. Anyway, thank you for your feedback. You helped me to remove Disqus from the running and best of luck in your search! Just researching commenting options for my wordpress sites, I have used Commentluv which was a recommended plugin on a course I did in 2014. I agree it can be a bit spammy. looking at some of the other comments on this thread their have been a few bad experiences. Agree that monitoring comments on WP can be time consuming, one of my pet hates is the email from WP notification telling me “please moderate a new comment waiting for your approval”. Disquis seems favoured starting at $10 per month. Is there any comment system in wordpress so that users can send PDF files ? Are you familiar with a plugin that limit the max character within the page (before submitting) so the user will be able to see how many characters left? I am looking for such a solution. This is great, I really enjoyed reading this. Grate article. Thanks for sharing the information. Awesome article! This is super helpful. One question I have is if all these commenting plugins work on pages as well as posts. This is something I think that is difficult to implement. Hi, I’ve been searching without a result! How do I setup comments in a widget sidebar? Not just a timeline of comments but being able to comment on a post. The idea is to create a column next to the post. Quite comprehensive and very well put article, kudos. One thing is incorrect though, you are saying ahat “I recommend choosing one of the external commenting systems — Disqus or wpDiscuz” – but wpDiscuz it not an external commenting system. All its data is stored within your local wordpress database, no clouds involved. I myself have been using wpDiscuz for the last year or so, very happy with it. thank you so much for sharing this list. will help a lot to work effectively. Disqus will slow your site by 5 to 10 seconds and kill your page scores with tons of advertizing redirects. I have several blog posts on my site at the moment, two of the posts have comment section on the bottom of the post but the rest of the posts don’t have comment section. I enabled screen options of Discussion, Comments but it still not working. I tried everything to fix it but it still shows the same. Very informative thanks for sharing..!!! If numbers is all you care about, just disable Akismet. Huge wave of comments will come soon after, guaranteed. Outstanding post Shaun, thanks for sharing great info. I particularly enjoy the Comment Luv and LiveFyre Plugins. Hubspot is also quite good but I prefer Comment Luv. thanks for sharing the best information about best commenting plugins for wordpress and suggestions they very useful to us.You made a good site it’s very interesting and thank you so much for sharing I am searching in many sites for the solutions I get from this site. Totally missing here is Heyoya. I really do think you should try it out. Disqus comment system is my favourite one. Hi, I came across this post because I’m tired of getting spam on my WordPress site http://www.getsharey.com. Just an FYI. CommentLuv is no longer around. I think the developer stopped supporting about a year ago. Just get Akismet. Works like a charm regardless of what comment system you use. I’m thinking of following in your footsteps!